Team GB signed off from the 2012 European Championships today in Rotterdam with a 6-2 victory over Russia; however it was a winning end to a disappointing tournament. The victory came in a playoff game to determine the 11th and 12th placed positions in the final table. Thanks largely to 5.2 good innings by Cartmel Valley’s Ben Pearson on his senior team debut and Matt McGraw’s inside-the-park home run, the Brits earned their second win of the event and were able to avoid the wooden spoon. Sadly that came too late to avoid relegation back to the European B Pool. Team GB will need to progress through a qualifier next year if they want to get back to the Euros and make amends in 2014. The disappointment of this campaign shouldn’t lead to too much pessimism about that task. The difference between winning and losing group games in the Euros often comes down to fine margins. That was best shown by Great Britain’s second game victory over the Czech Republic. Team GB played brilliantly, led by a superb pitching performance by Greg Hendrix, and they deservedly ran out 6-1 winners. 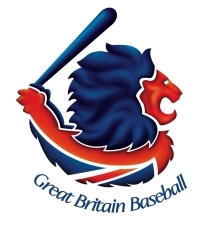 Yet in their previous game the Czechs had pushed eventual Pool B winners Germany into extra innings, only narrowly losing 4-5, and in their game after the loss to GB they went on to produce the shock of the tournament with a 3-2 extra inning win over the Netherlands. Great Britain’s defeat in their fourth game against Belgium was perhaps the most frustrating as they twice took the lead but were unable to hold on, against a team that ordinarily they would back themselves to beat. While the Belgium loss largely sealed Team GB’s fate, dropping the tournament opener 3-1 to France was a real hammer blow that immediately put the team in a difficult position, just as Team GB’s opening victory against Spain served to set the tone for a second placed finish back in the 2007 Euros. They had their chances to get the better of France but it wasn’t to be and that made qualification an uphill struggle, one that this time around they were unable to overcome. But each new tournament gives all involved some important experiences to learn from and added motivation to make the next event more successful. That’s what Sam Dempster and his coaching staff will be focusing on and, with the World Baseball Classic qualifier rapidly approaching, some of those involved in the Euros will get an immediate chance to get back out there and to provide baseball’s contribution to this glorious summer of sport for Great Britain. Check out the Team GB page on the BBF website for Bob Fromer’s excellent game reports from the Euros.